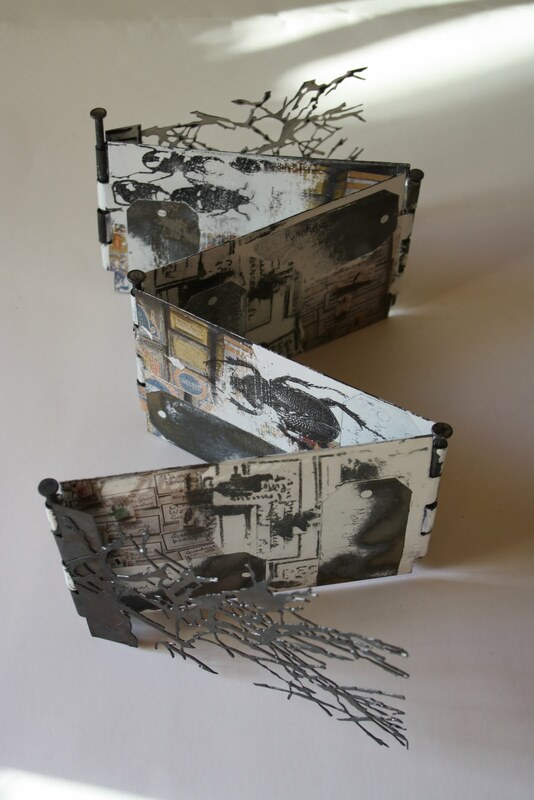 I am still trying out different ways of working in enamel using this concertina book form as a vehicle for my experiments. I have used my own photographs of early entomological collections making them into enamel transfers. 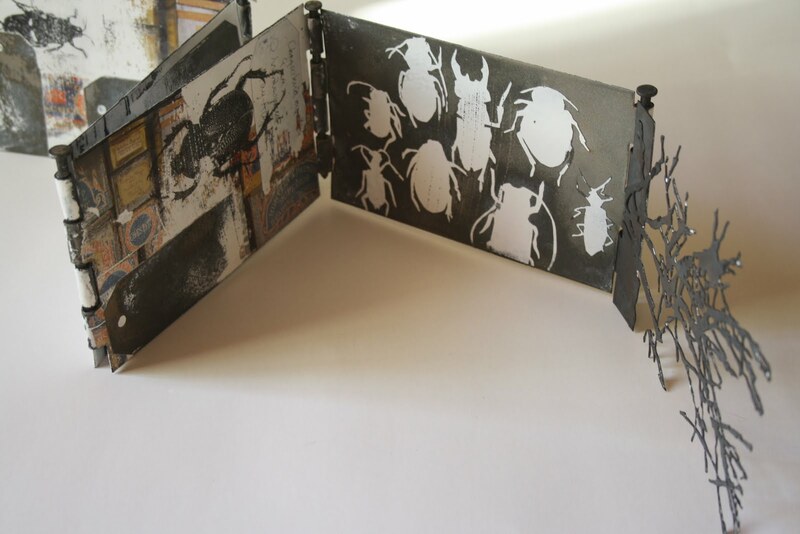 Then I have sand blasted label shapes and beetles into the enamel surface. I love this, you have a enviable way of developing ideas. I like the pushing around of insect shapes in this little book. Oh Sue this is another fabulous book!!! I love the way that your work has developed. 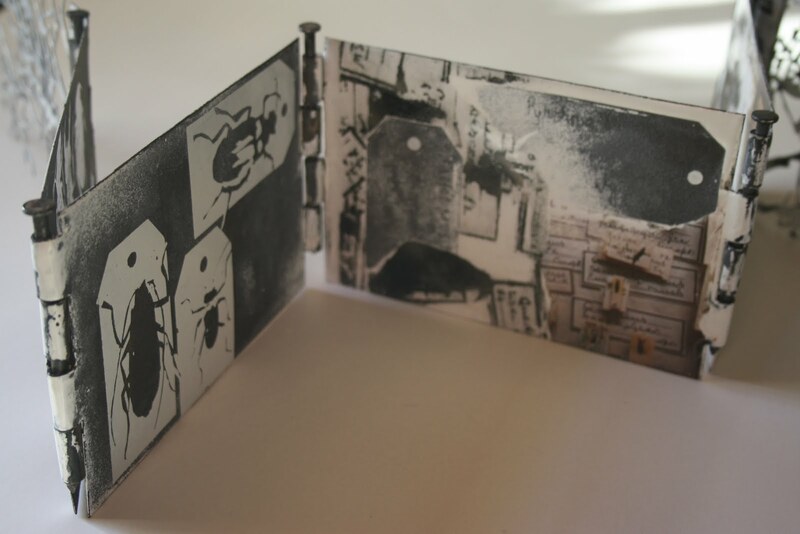 The images appear to be delicate while the book looks sturdy. Love the contrast. How heavy is it? I love where this is going Sue. You are obviously in inspired mode! Just seen the post of your lovely spoons on "The Art room Plant". They look great! Congratulations.